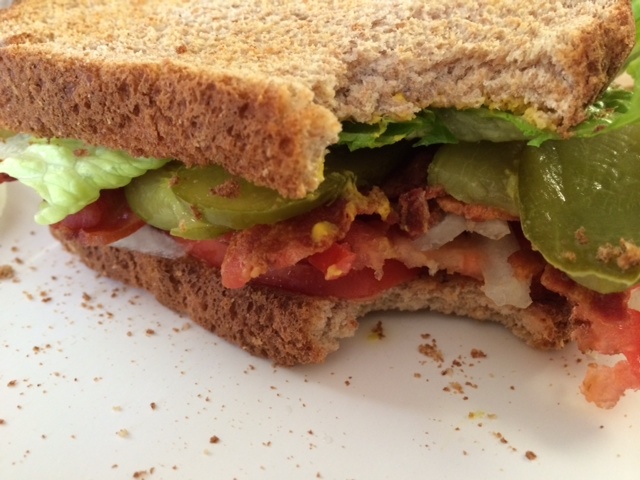 While in college I discovered I loved my BLTs with onion and pickles. Yes you read that correctly, it just makes the eating experience better, if that is possible. Try it, I bet you would like it too. For fun I wanted to see how much bacon we consume a year… 3.2 pounds per person per year (Factors Affecting US Pork Consumption). While that data is from 2005, I do believe it is low, I am pretty confident I eat more than 3.2 pounds of bacon a year! How about you? you know what I love with my onions and pickles? 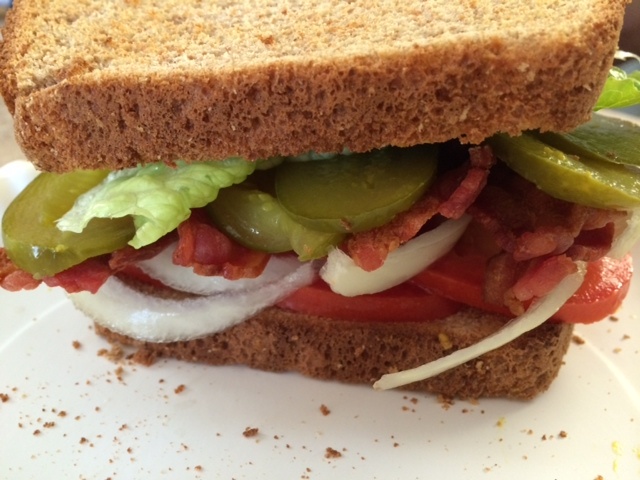 a few BLT’s. We must be cut from the same cloth.